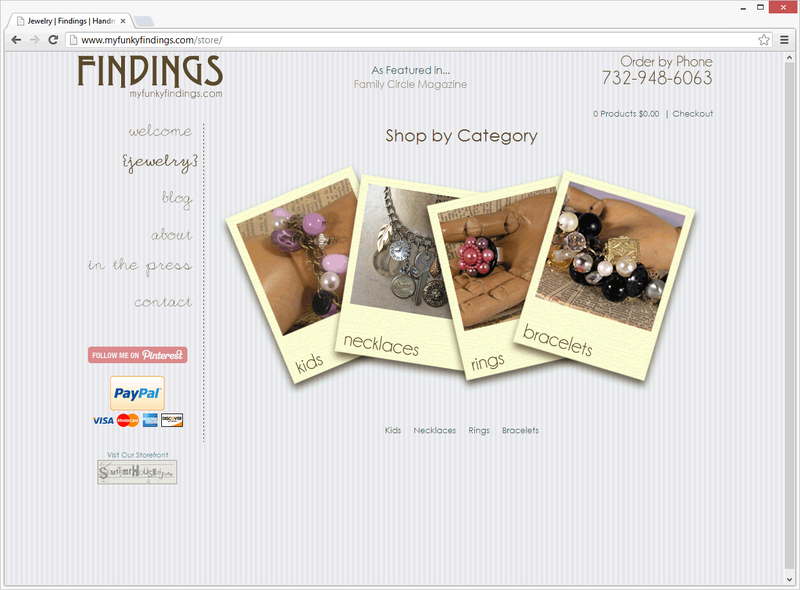 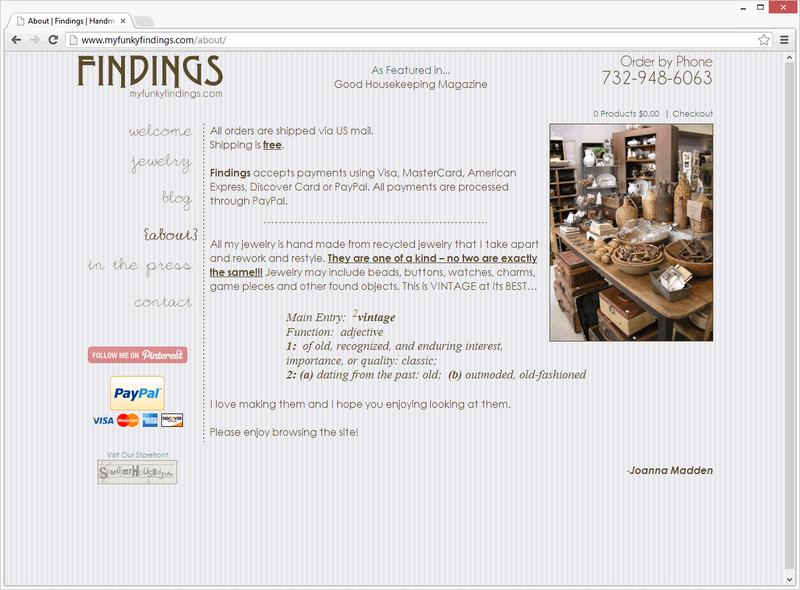 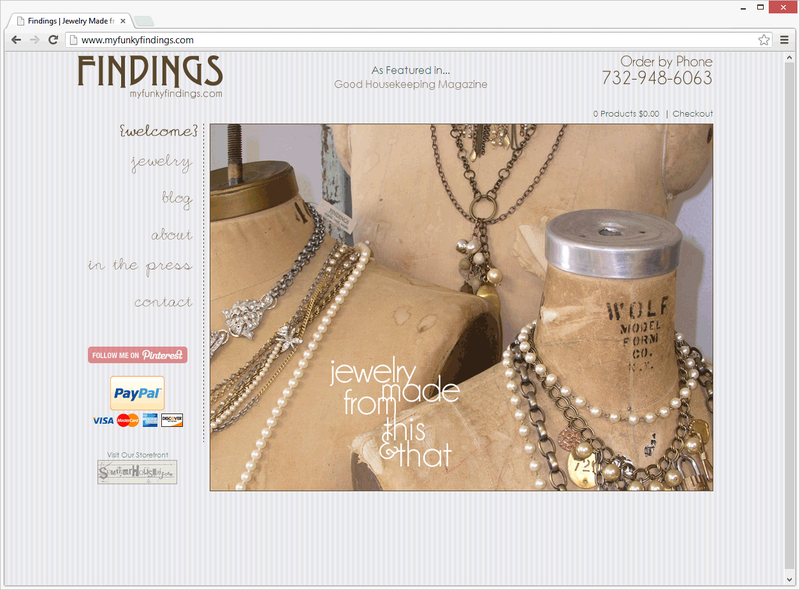 E-commerce website for an independent jewelry designer. 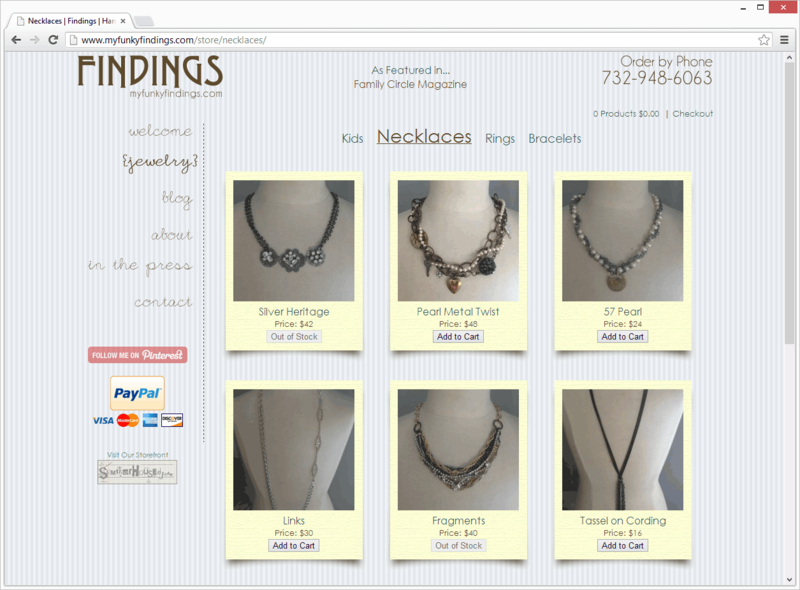 E-commerce website for independent jewelry designer. 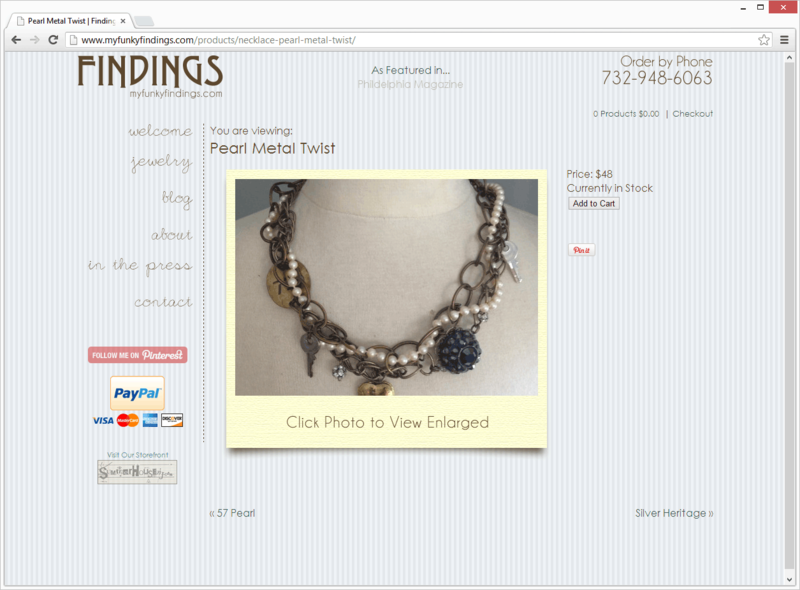 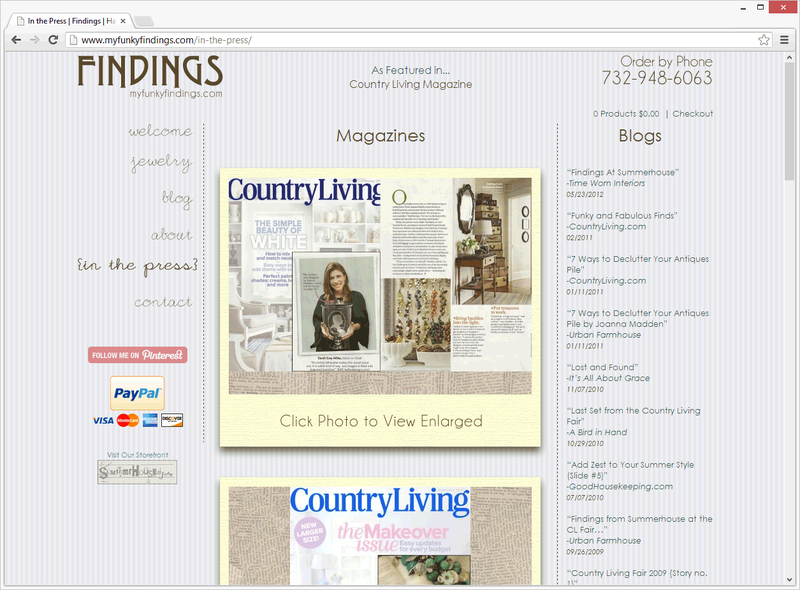 I had been approached by Findings in late-2010 to create an E-commerce site in order to build a simple website that effectively showcased the quality, hand-made jewelry that was being featured.